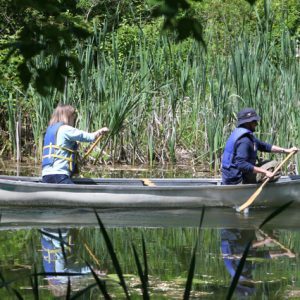 Attention all avid canoers, kayakers, and stand-up paddleboarders, Island Lake Conservation Area is proud to provide annual outdoor on-site storage for canoes, kayaks and paddleboards. Storage is $110+HST for one bunk, and $55+HST for additional bunks on the same account. For more information please contact Island Lake Conservation Area at recreation@cvc.ca or 1-800-367-0890. All pleasure craft must be secured with two locks: one at the bow and one at the stern. These locks are to be provided by the users. Pleasure craft is stored at your own risk; Credit Valley Conservation Authority assumes no liability for your pleasure craft. Admission fees are not included in the storage fee, however memberships are available for purchase. Access to the storage area is permitted only during applicable park operating hours and seasons.